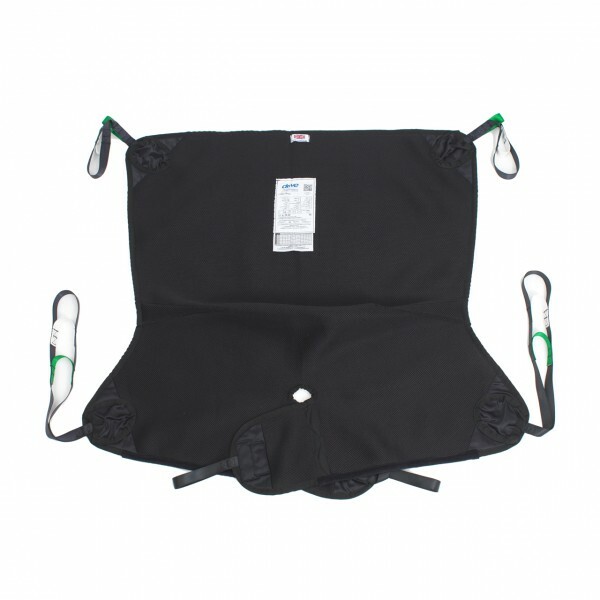 The Split Leg In Chair Hammock Sling comes with hip straps and pockets to tuck lifting straps into and is supplied in black spacer fabric. This sling has a split leg design allowing you to fold away the leg supports preventing build up of heat and adding to user comfort. The spacer fabric offers additional benefits which are the fabrics 3 dimensionals and used for the replacement of foam padding. The fabric is breathable, very durable and provides excellent pressure distribution. Secured by loop fastening.